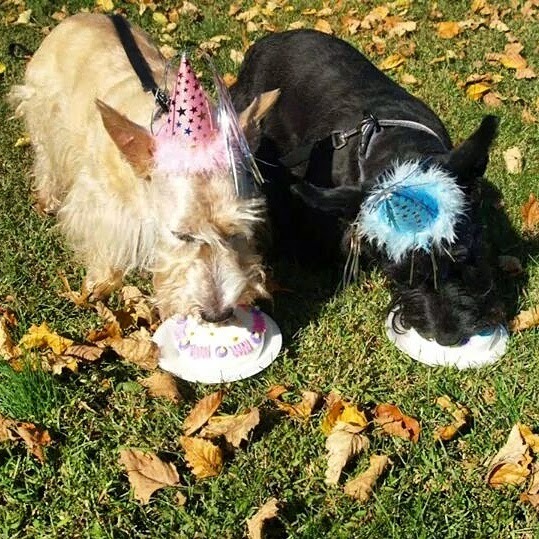 Heather and Mr. K celebrated their birthdays this weekend! 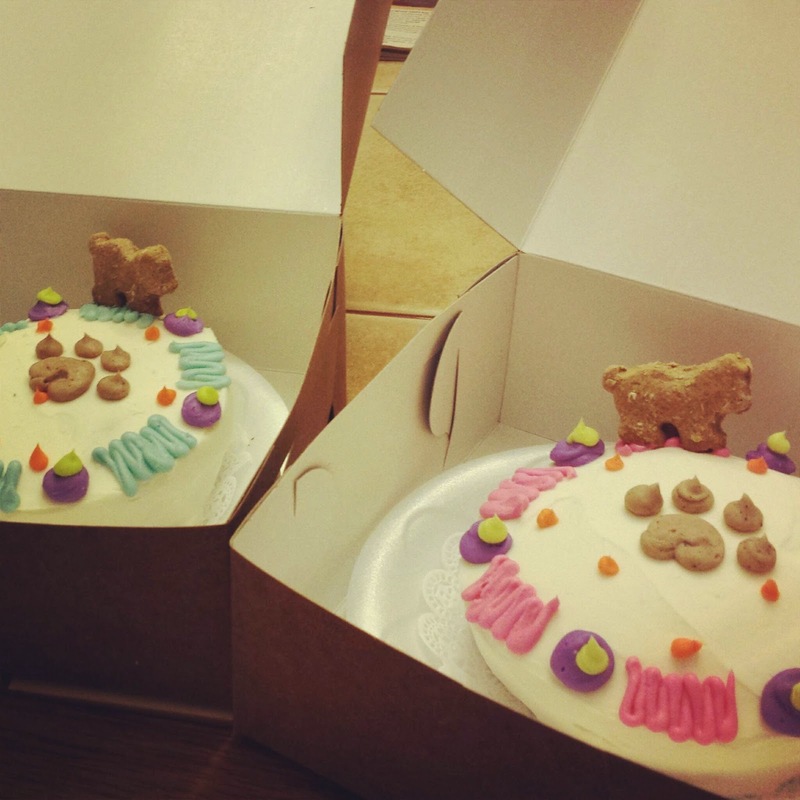 Scottie Mom surprised them with doggie birthday cakes from Canine Cafe Charlotte. Obviously, neither Scottie would have that! Heather and Mr. K were all smiles after indulging in the birthday cake treats! Our little girl celebrated double digits this year! Heather turned 10 years old and Mr. K turned 8. Celebrate good times, indeed! 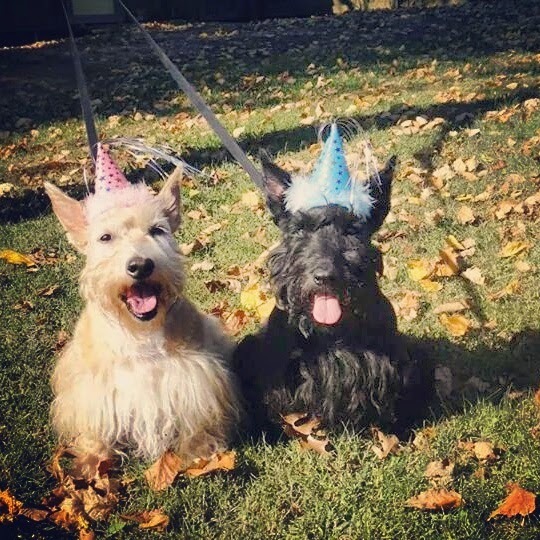 This weekend, we ventured to Charlotte to celebrate Heather and Mr. K's birthday in style with cousins Snackle and Circe as well as their Scottie Grandmadre. Needless to say, they were pampered with belly rubs, extra play time and, of course, treats! 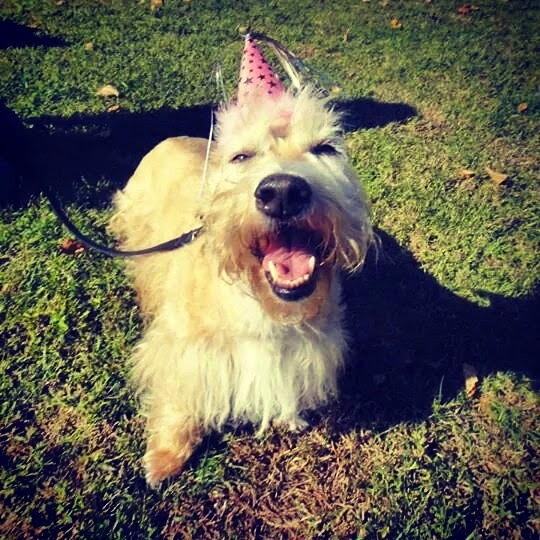 It is so hard to believe our little girl turned 10 years old (or should we say young?!) this year. 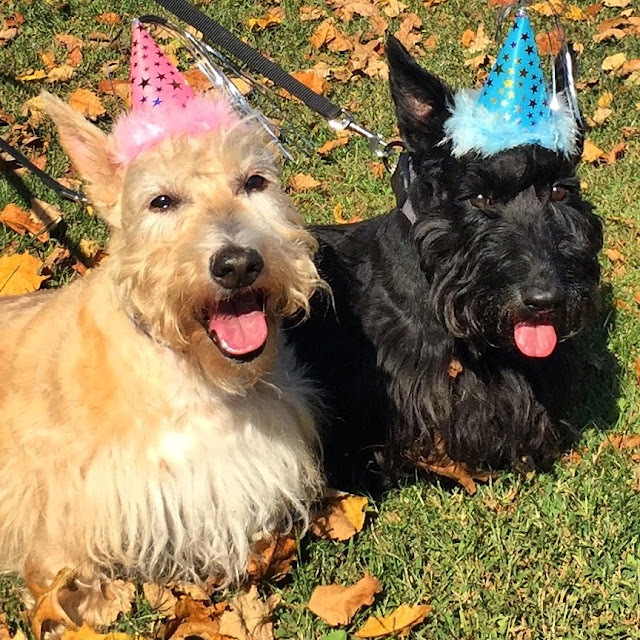 Here's to another year full of Scottie smiles from Heather Beather and Mr. K. Hip-hip-ArRRroO, you two! Glad they had a good birthday...pictures were really cute. Here's to many, many more for both! The EACH got a cake??!!!! WOW! Happy Birthday, mates! HaPpY HaPpY BiRtHdAy dearest Heather-Beather and Mr K!!! 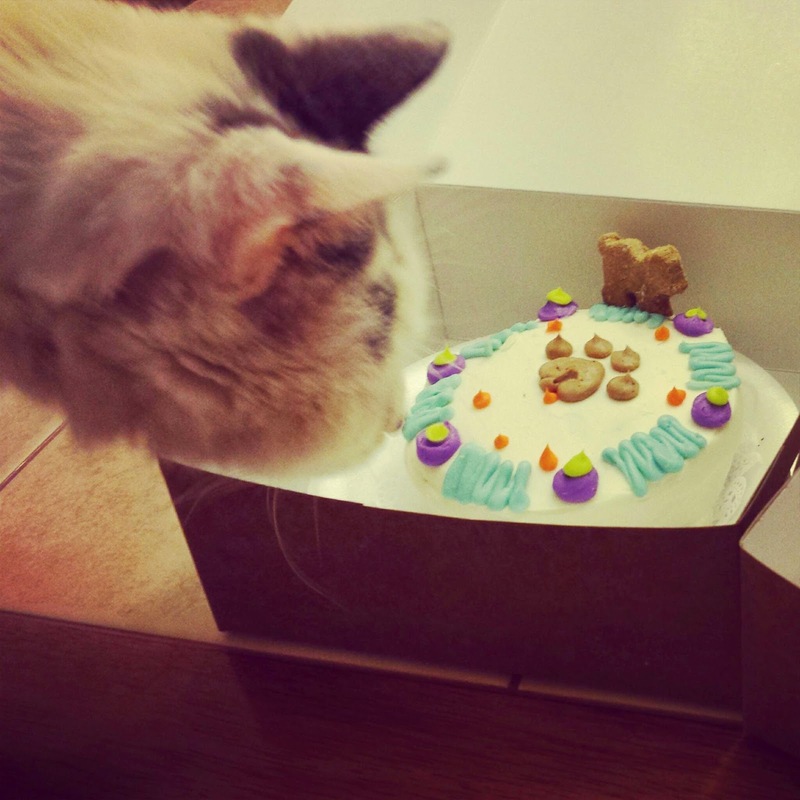 Those cakes are just too PAWSOME for words!! Late October b'days run in the family. His father was born on Halloween and that explains everything. OMD I missed y'alls barkday, well better late than never. Happy Birthday Mr. K and Heather!! !